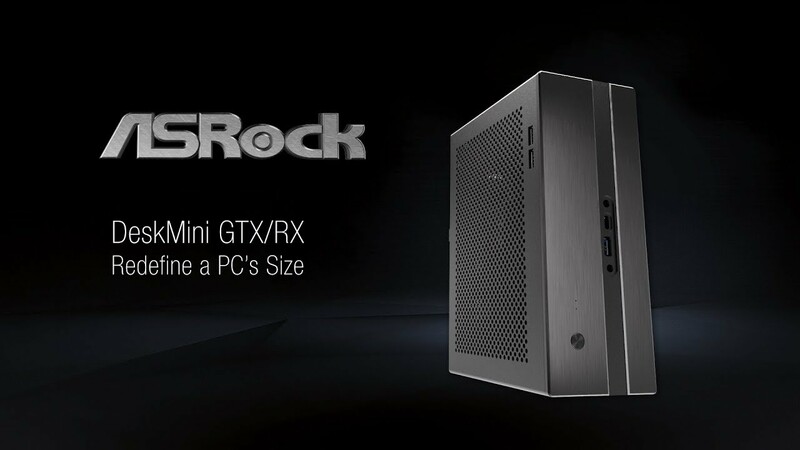 DeskMini GTX/RX features with tower PC grade performance and expansions within 1/20 size only. But offering bigger desktop space with large monitor, such a Grand Compact to you. Features with enhanced 5+1 phase to provide superior power for Intel® 9th/8th Gen 65Watts 8 Core processors. Boost mighty performance in 2.7L size. DeskMini GTX implement Type-A and Type-C USB 3.1 Gen2 ports for supporting next generation USB 3.1 Gen2 devices and to deliver up to 10 Gbps data transfer rates. It’s scalable and upgradable! DeskMini GTX/RX supports MXM Type A/B/B+ graphics cards for maximum performance to fulfill the need of gaming and other task with ease. Up to 4TB! DeskMini GTX/RX offers dual 2.5 inches SATA 6Gb/s HDD/SSD bay. Such large storage only in a small 2.7 Liter! Quickly and Easy! DeskMini GTX/RX uses motherboard tray base and main chassis design; you can upgrade components in a short time. - Micro STX: 5.8" x 7.4"